Most of you will already know that I'm a big fan of suits, both for women and men. I love a good suit on Kieran, especially one that's tailored to his needs. But now it's even easier with the new Infinity suit by T.M. Lewin which has launched today! 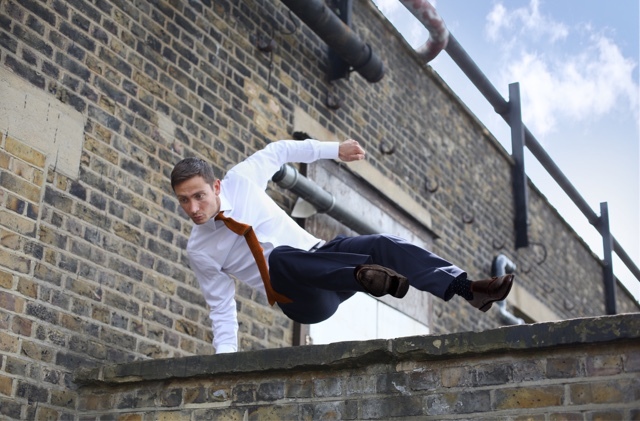 - Say goodbye to unwanted creasing and sweat patches as the new 'Super Suit' is coming your way. 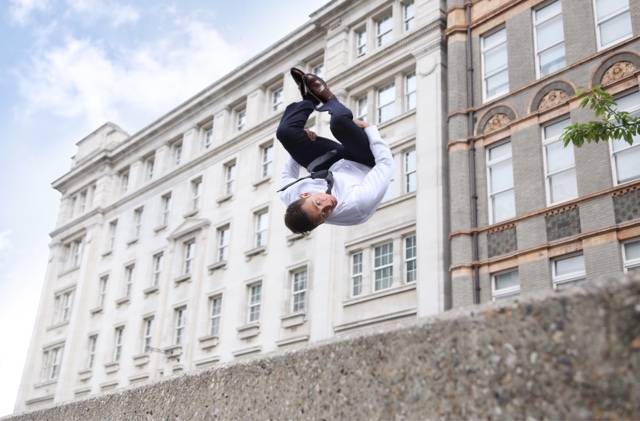 The model, Chase Armitage, is a known parkour and free running director who's recent movie "Free Inspiration" got him entered into Cannes Film Festival. Wow, congrats Chase! I really do think that this new collection of suits is gorgeous, and would be perfect to wear this Autumn. What's made me interested in the Infinity suit is that Kieran used to do free running and it just brings back nice memories of him doing it. (He's also very fussy when it comes to suits, so I think this one would be perfect for him as it's flexible and suitable for his needs). You can view the whole collection here, but this is my favourite piece. *This post is not sponsored, and all opinions are my own. Have you seen my previous post about T.M. Lewin's clothing? You can check it out here!